Madrid: Antonio Conte called on Premier League champions Chelsea to take the step up and prove they can be contenders in the Champions League when they face a daunting trip to Atletico Madrid on Wednesday. Chelsea made a perfect start on their return to European football's premier club competition after a year's absence, with a 6-0 thrashing of Azerbaijani newcomers Qarabag two weeks ago. 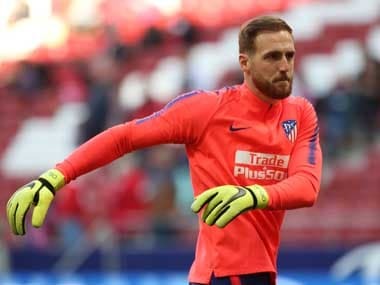 However, a far tougher test lies in wait as an Atletico side that has reached two finals in the past four seasons host a Champions League game for the first time in their new 68,000 Wanda Metropolitano. "Now it is time to play a really tough game in the Champions League against Atletico Madrid," Conte said on Tuesday. "In this type of game you understand which is your moment. For us it is very important to play this type of game to play away against one of the best teams in the Champions League. "It is the right moment to understand where we are." The English champions are boosted by Eden Hazard's return to full fitness from an ankle injury and Conte also challenged the Belgian to live up to his billing as one of Europe's top players on the biggest stage. Hazard scored 17 goals last season to lead Chelsea's title challenge, but has netted just five times in 37 previous Champions League appearances. "I think last season Eden played a really important season," added the Italian. "I think for us he showed in every game great talent and to be a really good player." "I think this competition is very important for him and for the team." "This competition brings you on another level and I think he has all the possibility to do this." "He is a top player, now he is totally fit and I think it is the right moment." 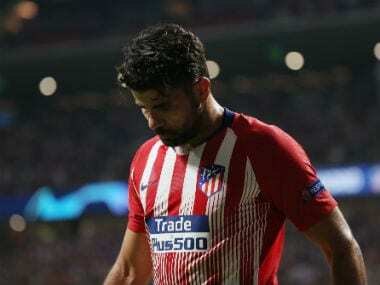 Conte and Atletico boss Diego Simeone played down comparisons in the sides' playing styles, but the Chelsea boss called on his side and other English sides to learn lessons from their La Liga rivals at Champions League level. Spanish sides have won the Champions League in each of the past four seasons, whilst Sevilla have also won three of the last four Europa Leagues. "For sure to try to do the same way as Atletico Madrid in the Champions League is not a bad idea for us," added Conte. "These teams are very strong, very good and a have a lot of experience in this competition and also the Europa League. "I think that we have to try and change the story because in the last few years the Spanish teams are dominating in Europe." The clash is also added extra spice by the likely presence of Diego Costa in the stands days after his return to Atletico from Chelsea. Costa's troubled relationship with Conte led to his exit from Stamford Bridge, but there will be no instant revenge as Costa isn't eligible to play until January. 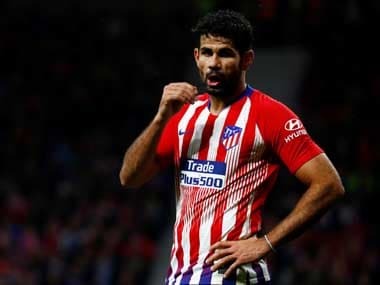 Both coaches avoided adding further fuel to the fire on Costa's decision to refuse to return to training with Chelsea in order to force through his move. But with Alvaro Morata deputising ably in his absence with six goals in his first six Chelsea games, Simeone is aware of the task also facing Atletico. 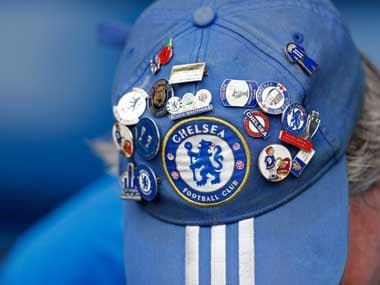 "I love this Chelsea team," said the Argentine. "It is a team that plays with intensity, balance to play in attack and defence and a strong midfield." "They won the league last season in the manner they did. They are a very strong team with a clear idea of what their coach wants."